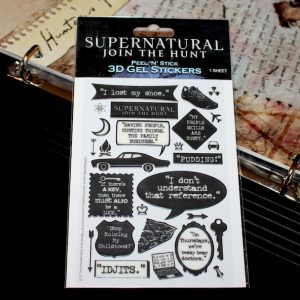 TWENTY gel stickers that are totally re-positionable! 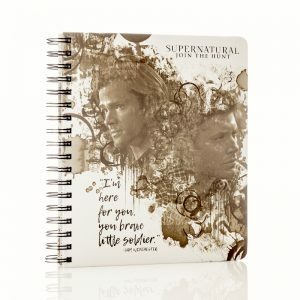 Featuring the anti-possession symbol, a Devi’ls Trap, an Angel Banishing Sigil, a Tibetan Tulpa, Harvelle’s Road House, Singer’s Salvage and everyone’s favorite breakfast special: Pig ‘N A Poke. 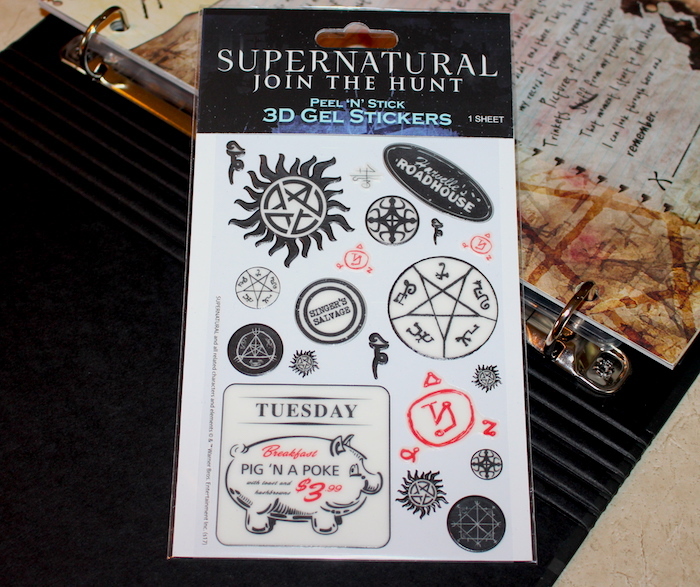 Decorate your Supernatural Journals with our Symbols and Locations Gel Sticker Sheet! These stickers are made from a proprietary process that makes them totally re-positionable! Featuring the anti-possession symbol, a Devi’ls Trap, an Angel Banishing Sigil, a Tibetan Tulpa, Harvelle’s Road House, Singer’s Salvage and everyone’s favorite breakfast special: Pig ‘N A Poke. 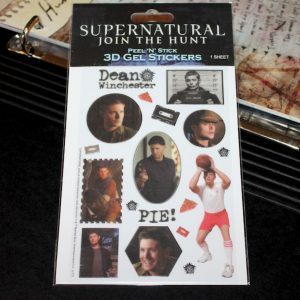 4″ x 6″ clear sticker sheet includes 20 stickers!